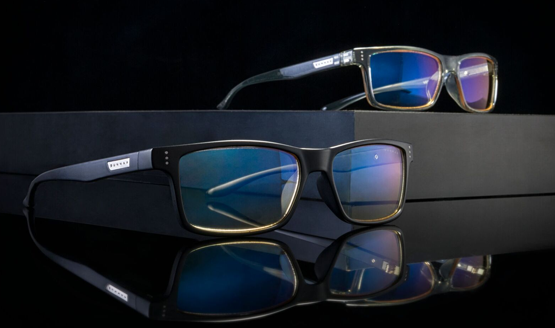 Along with reviewing the glasses, I talked to GUNNAR’s Marketing Manager, RJ Snyder, to get a sense for the science behind what GUNNARs do, but I wanted the review to focus on my individual experience rather than those bullet points. Another article will outline exactly how GUNNAR glasses protect your eyes and the company’s goals for the future. My vision has been something of a sordid tale throughout my life. In my three decades on this planet, I’ve seen my eyesight quickly degenerate at a young age, had thick cokebottle glasses to correct it, struggled with contacts for a while, and then finally got Lasik surgery about five years ago. I even came away from the Lasik pretty lucky. I was just on the edge of being too far gone to successfully have the procedure performed, but I had the guy who pioneered laser surgery himself do the work, and I walked away with vision even better than 20/20. I often say that getting Lasik was the second best decision I made (next to marrying my wife), and GUNNAR glasses allow me to protect this valuable asset. It’s funny how people can take the ability to see for granted. You don’t know what you have until it’s gone, as they say. Having grown up my entire life dealing with bad vision, glasses, contacts, and all the struggles that came with them, my newfound vision that everybody else takes for granted was a huge blessing to me. I was determined to take care of my eyes from here on out, to the best of my ability. It hasn’t been an easy road. This may come as a shock to some of you, but I spend a lot of time in front of screens. Whether it’s my phone, laptop, or TV, the majority of my life revolves around looking at a screen in some way or another. There are a few concerns that come along with the light from screens, but the most obvious is the blue light that is emitted, which not only possibly affects our vision, but also messes with the parts of our brain that allow us to sleep. I had a pair of GUNNAR glasses a few years ago to combat the issues I had sleeping, but misplaced them somewhere or another and forgot about them. Ever since, in my complacency, I’ve been damaging my eyes through hours and hours of looking at screens without eye protection. When GUNNAR reached out to me and offered a review pair, my eyes widened at the blue light emitting from the email that they had just sent. I remembered how great it had felt to work in front of a computer screen while wearing them. I remembered how I’d had an easier time getting to sleep at night. I also remembered how large they were on my face, and a little bit goofy looking if I may be honest. Still, I leaped at the opportunity. I work from home now, right? Doesn’t matter what I look like if no one can see me! Fortunately they let me choose the pair I wanted to review, and the various styles make a world of difference. Protecting your eyes doesn’t have to forego fashion, and spoilers? They look great on me. I chose the Vertex frames in smoke with the amber lenses. There’s the beauty of GUNNAR’s selection. Don’t like the semi-transparent smoke? You can get them in the all-black Onyx, or even a see-through clear frame. You can choose amber or clear lenses, though the clear won’t block as much of the blue light. And there are a ton of frame styles to choose from. Reading glasses or sunglasses, ordinary frames or extreme frames, you can protect your eyes looking like almost any glasses-wearing protagonist, from Harry Potter to The Matrix’s Neo. As soon as the package came, I tore it open and put the glasses on. Perhaps it’s only noticeable to me, staring at a screen for the large majority of my waking hours, but there was an immediate sense of relief on my eyes. When I remove the glasses, I can clearly tell a difference. Visually noticeable is the amber tint. This blocks the harsh blue light emitted from screens, but it’s not all that the glasses do. Slight magnification helps increase clarity of text on screens. Where I may have had to slightly squint before—even unconsciously—I can now sit back and view my laptop screen without straining my eyes. The lenses also have a curve to them to help prevent airflow behind the frames that can create dry eyes. 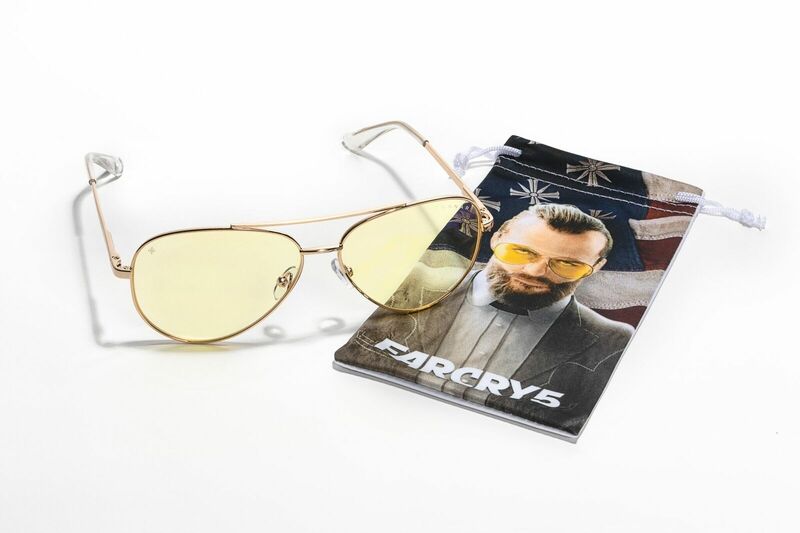 These may all just sound like fancy bullet points, but I can assure you, after a week of wearing these every single day (and my previous experience with GUNNAR glasses), that it’s all very real. My eyes dry out a lot less when using the glasses while focusing on screens. I am able to get to sleep easier at night. I don’t have to strain and squint to view things. And to top it all off, I look great. What more can you really ask for? A minor issue I encountered was the focus distance, and adjusting my own visual focus due to the subtle magnification in the lenses. I often go back and forth between looking at a phone screen that is a foot from my face, a laptop that is three feet from my face, and a TV screen that is about 12 feet away. I’ve learned how to adjust my own focus to compensate, but it took about a day and a half before I was completely used to it. I’m probably an outlier with how much I look at screens and swap which screens I’m looking at, but it was noticeable enough early on to point out. My eyes are important because my eyes were expensive. But your eyes are important too. Even if you haven’t spent thousands of dollars in your lifetime on eye care and surgery, preventative maintenance is the best way to ensure that you won’t have to in the future. They even do prescription lenses, so if you’ve already got some vision problems, you can still protect your eyes. 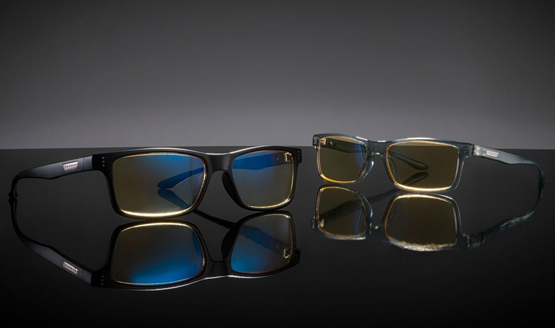 There’s a whole bunch of science and patents to back up why GUNNARs are better than the yellow-tinted glasses you can get down at the gas station for five bucks. The difference is easily noticeable to the people who use them to protect something we often take for granted, but would have a hard time living without. Our very hobby relies on the ability to see, but also relies on screens that are potentially doing harm, if not at the very least causing some level of visual discomfort. GUNNAR glasses protect two of my most important assets, and perhaps just as importantly, they provide me comfort every single day as I work with multiple screens over multiple hours. I can quite literally sleep easier knowing that I am doing what I can to make sure I can still see whenever Final Fantasy VII Remake actually releases. GUNNAR glasses review unit provided by GUNNAR. For more information, see our Review Policy here.